When it comes to construction and concrete work, having the right equipment plays a prominent role in efficiently producing quality results. While a concrete boom pump offers improved performance over traditional mixing and material distribution methods, knowing when to use roll and fold concrete pumps is critical to getting the job done right. 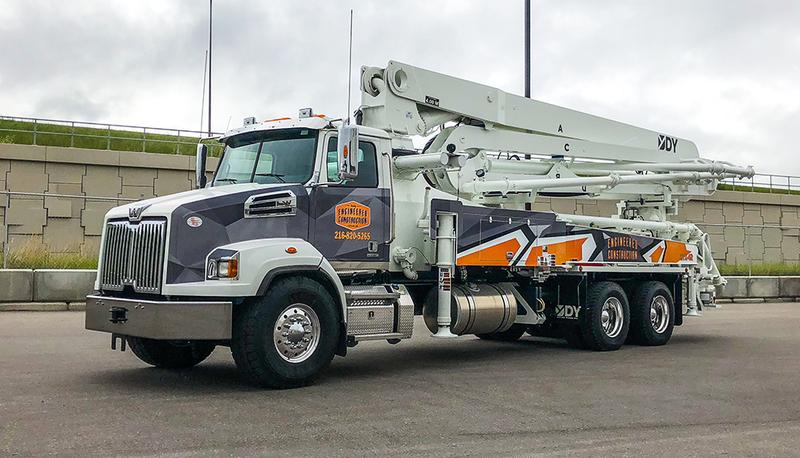 As a leading source of concrete pumps throughout the U.S., Canada and beyond, DY offers a variety of competitively priced models to choose from. A roll fold concrete boom pump conveniently rolls out and rolls in, while a Z-type boom operates by folding in and out at hinge joints. The roll and fold boom is a time-tested design favored by many seasoned and experienced drivers, as well as companies looking for equipment that’s easy to operate and offers outstanding versatility. Roll fold concrete boom pumps provide an extremely stable design with exceptional output and pressure. DY Concrete Pumps offers a variety of roll and fold models to meet your unique requirements. 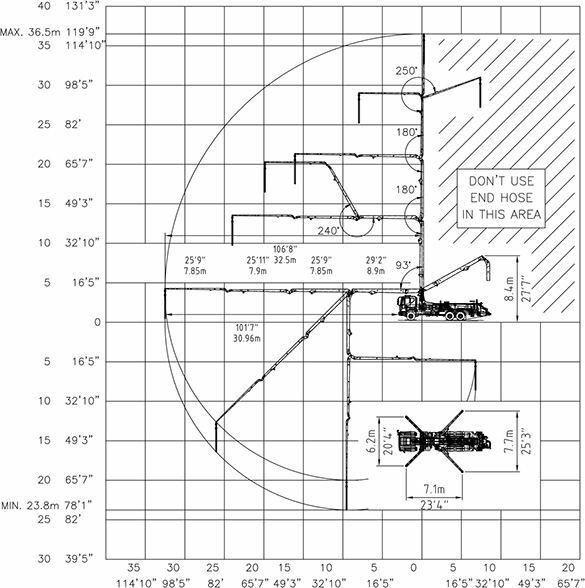 Our pumps feature the third section with 240-degree articulation for increased flexibility that’s not available on our competitor’s 37-meter models. The roll and fold design allows for high-volume pumping in buildings with a low ceiling height, eliminating the need for the operator to continually reconfigure a Z-type boom. When it comes to jobs that require pouring close to the truck or working in open spaces, nothing beats the efficiency and ease of use of a 4-section concrete boom pump. With more than 30 years of end user experience, DY specializes in providing exceptional quality equipment backed by excellent customer service and support. Whether you’re in the market for a 4-section concrete boom pump for a commercial construction site or a 37-meter concrete boom pump for residential work, we’ll help you find a solution in stock. DY Concrete Pumps is known for “Taking Utilization to a New Level” because of our innovative product line and affordable prices. Our concrete pumps are engineered with the power and strength to push viscous, heavy and jagged-shaped materials out for even distribution without build-up or blockages that negatively impact productivity. From choice of chassis including Mack, Western Star, Freightliner, Kenworth and Peterbilt to flexible financing with low-interest rates, we’re the one-stop shop for everything you require. Learn more about the benefits and advantages of choosing a roll and fold 4-section, 37-meter concrete boom pump from DY. Contact us by filling out our online information request form to speak with a knowledgeable and friendly representative. We’ll be happy to answer all your questions and provide a competitive quote.